Welcome to the first Share Your Creations Party! I'm excited about this one and I hope you will join in the fun! When I was in class I painted this landscape. I think it still could use some work...then maybe I will frame it. I painted the parrot in high school...it's done in water color. I actually painted this off of a photo of my pet lilac crowned amazon parrot, Peppy. He was such a funny bird! LOL! I found this picture of me in high school...sorry it's blury. I took picture of a picture. 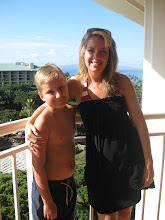 I think I was about 16 or 17 in this photo. This was a competion and the theme was World Peace. I was in several competions and I think I won an honorable mention in this one. Well, those are some of my creations! I think I'm in the mood to paint again! I am looking forward to seeing what you create! You can link any creations that you would like to share. It can be items, a room you have decorated, a piece of furniture you have painted, jewelry, photography, recipes...the list goes on and on. If you are sharing an item you have created for your Etsy Store you are welcome to add your link! I would appreciate a link back to my blog so others can find the party! Other than that, there are no more rules! Have fun with it! Fall Finds...And Share Your Creations Party Tomorrow! I have been shopping for fall items over the last few weeks. Hobby Lobby has the cutest items and best prices...when they are on sale. I do not buy ANYTHING unless it's on sale! They had alot of fall 40 and 50% off last week. This week their add does not include alot of fall. Although... wood, polyresin, pottery, glass and ceramics are on sale and that does include fall! You have to watch for that. Sometimes there are no signs above the seasonal items. I hope you all have a Hobby Lobby where you are...I don't know what I would do without it! Here are some items I bought at Hobby Lobby last week. I am going to decorate the iron shelf on the patio this year, so I thought the cute scarecrow, birdhouse, and Harvest sign would be cute out there with some real pumpkins. Not sure where the candle holders and ceramic pumpkins will go yet, either in the kitchen or living room...I'll just have to play with them. I am also going to do my mantle...I am actually going to attempt an oil painting of fall trees. I did say attempt, I haven't painted in a long time...if it turns out bad, I'll have to think of something else. I will also be making myself a pumpkin arrangement and some other things to set around. Fall is definitely on my brain! Just a reminder that my first "Share Your Creations" party is tomorrow. I will have the linky tool up tonight. I hope you will join in! You can link any creations you would like to share. It can be an item, a room you have created, a piece of furniture you have painted, jewelry...etc. It's wide open! If you are sharing an item you have listed on Etsy you are welcome to add your link! I have been meaning to tell you that you can subscribe to my blog by e-mail now. The sign up is on my sidebar under "About Me". This week one of my readers asked if I would do a decorating work shop. I do love to decorate and have helped others with their homes, but am by no means a professional! It did get me thinking about a week long class my friend Sherry and I took several years ago. It was called Chandler's School of Interior Decorating. Tom Chandler teaches the class in Little Rock, Ar. It was really great and I learned alot! I am going to give you some tips that I learned at the bottom of this post. One thing that really stuck with me is something he repeated over and over. "Mix the best of the old with the best of the new". He uses alot of beautiful antiques in his decorating along with contemporary pieces. He really knows how to create interest in a space! After thinking about what he said about mixing old with new I started looking at the older pieces I have in my house. I don't have alot of old pieces and I don't know if they are even considered antiques, however, the pieces I do have really mean something to me. My aunt Pat gave me the cute little stool. The man that recovered it for me said it was really a good piece and worth quite a bit! I would never get rid of it either...I love cute little curvy stools... and it was given to me by someone special. This pretty pedestal planter sat in the corner of my nanny's dining room forever. When she passed away I inherited it. It was something I always really liked. I don't know if it's an antique or not, but I think it's pretty old. I think I only paid $10 for this old chair. The wood is really pretty and I liked the shape of it. I recovered it myself (as you can probably tell...lol. Love the pretty toile fabric. I think this mirror is pretty old...it belonged to my nanny too. She gave it to me when she was alive. I remember when she first showed it to me...I thought it was stunning and still do! It hangs in my entryway. Always beware of what a mirror reflects...that tip is on the list. I love the detail and the mirror on the edge of the mirror...so different! I will never get rid of this either. I love mixing old books in with my decor. The date on these books is 1909. The dogs are still some of my favorite pieces. They really need to find a new home soon. They have been on the mantle since I moved in...time for a change. Remember the old keys I found? I also have mixed in alot of old black books throughout the bookcases. Like I said, I don't have alot of older pieces, but what I do have is very special to me. I really like the look of mixing old and new together. 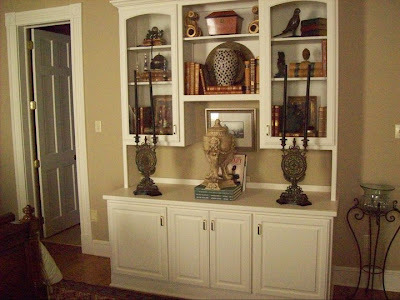 It creates interest in a room! I added a few pics below of some of Tom Chandler's work...I'm telling you, he is wonderful! I really learned alot in his class and it really has stuck with me. Click Here if you would like to learn more about his classes and see more of his work. With fall just around the corner...I thought this was unique and different. 1. Mix the best of the old with the best of the new...this one really stuck with me! 5. Lots of little plants is considered "old ladyish"
7. The darker the wood floor, the richer and more "old world"
10. 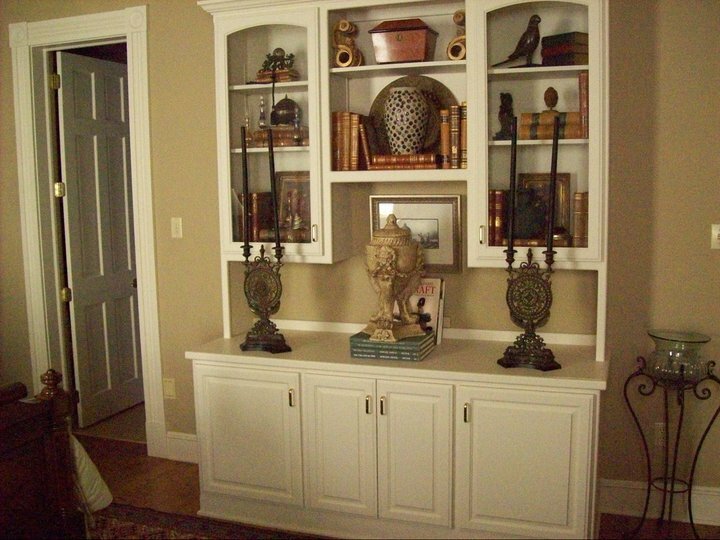 Mix iron, glass, stone, wood and painted wood to create interest in a room. 12. A touch of animal print adds pizzazz! 20. 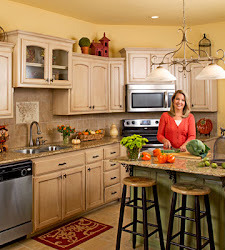 Try not to get to "Decorator"
Hope these tips helped! I know they have helped me. 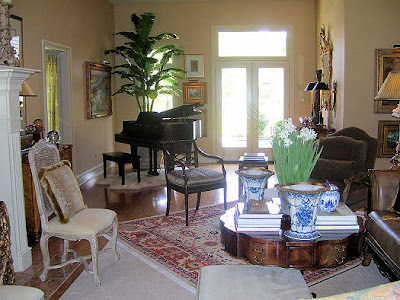 There is alot to think about when creating an interesting room. Have a great weekend! I'm thinking about you guys on the east coast! I hope you all stay safe! I am linking to Amaze Me Monday at Dittle Dattle. 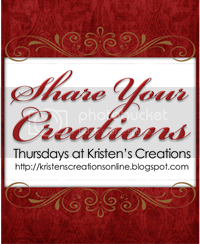 I want to tell you about the new party I will be hosting on Thursdays called "Share Your Creations". I decided to change the "Show and Sell" party to this. I don't mean to be "wishy washy" as we say here in Arkansas...lol. I just decided I wanted to host a party that everyone feels like they can join. I know most of you are creating things all the time...a beautiful craft, a painted piece of furniture, a pretty room. It can be anything you create! I am going to be showing a little bit of everything including all of the above. For those of you who joined my "Show and Sell" party I will still allow a link to your online store. After all, I will probably be doing that myself! lol...I will be starting this party on Sept. 1. I hope you will join in! I really want to see what you are creating! 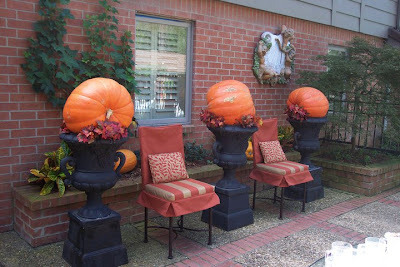 With fall decorating right around the corner I'm sure we will all have alot to share! Can you tell I'm ready for fall? I am having so much fun making new arrangments for my Etsy store! I wanted to show you a few that I just listed if you are interested. I am really getting in a creative mood again and might not sleep tonight! lol...I'm on a kick!! I found a few of these cute scarecrows the other day and thought they would look adorable in arrangements. I am pleased with how this one turned out! I am always on the lookout for roosters! Everything I find is just too big. However, I came across a few of these and bought them right up! Mr. Roo looks just perfect nestled among the flowers and berries. I mentioned that I have sold several of these beaded pumpkin arrangements...They are great used as a centpiece or mixed in with fall decor. It's still a little early, but I am so ready to start decorating for fall, are you? Hey guys!! I know it's been waaaay too long...thanks for sticking around! I explained in one of my last posts that I would not be posting alot this summer. I'll tell you, I've just felt like a big ole slug! No creative juices flowing and no energy. I'll blame it on the hot weather! I posted about how hot it has been here. Well, I just thought 102 was hot...ha! We has some days that were 115 and maybe a few degrees even hotter!! We broke all kinds of records and at one point we were the hottest place in the country! Oh my! However, today it's about 89 and raining...YIPEE!!! Maybe my yard will turn green again. It's been so hard keeping everything alive this year...even the trees. I hope they live! I hope wherever you are you are having good weather! Ok, enough about the weather...lol. It just really has had an effect on my mood lately! I decided it was high time for me to get busy on some new Etsy store items. My creativity came back (finally) and I got to work! I will be listing lots of new items every week so be sure to keep checking my store. Now that school is starting Monday I can get more done! I just got some really cute birds in from market this week and love the way they look in the middle of the arrangements. 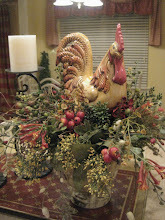 All of my arrangements are full of beautiful flowers, berries, sticks and foliage. I am very picky when it comes to silk flowers...just letting you know it's all good quality. Here is another smaller nesting bird arrangement in a clay pot. Perfect for fall or mixed in with everyday decor! This little birdie has flowers painted on it...too cute! This one is in a pretty fleur de lis metal container. It would make a great centerpiece! Pretty green container....this looks good on my table! This one has more of a fall flair with the pumpkins. It's almost fall ya'll! Yipee! I sold alot of these beaded pumpkin arrangements last year and hope to have some different pumpkins soon. Super cute scarecrow tassel! I bought several scarecrows in case you are interested. I will be making several more tassels for my store next week too. I got busy on frames too! Love this color combination! All of the ribbons I use are very high quality too. I am very picky with ribbon too! The flower on this one really sparkles! The brown ribbon is embroidered with beads...beautfiul! Love the zebra and fleur de lis together. It's hard to explain the color of the ribbon behind the zebra, but it's not pink at all. It is more rusty/coral and tends to change color depending on how you look at it. For some reason this ribbon does not photograph well. It's beautful though! This frame is perfect for the fall months. Love the rusty embroidered ribbon! More of the embroidered beaded ribbon...love the butterfly! This frame would also look good mixed in with fall decor. This frame would make the perfect gift for a piano player. The piano is just beautiful! I only bought a few at market. The cross on this frame is stunning! I have a limited amount of these too. Love the embroidered ribbon on this frame. It is very similar in color to the one I could not explain with the zebra ribbon...lol! It's a silky taffeta that changes color depending on how you look at it. It's beautiful and blends well with rust, corals and reds. Here's one with a touch of lepard! Love these colors...great for fall and everyday. Click HERE to go to my Etsy store. Again, thanks for sticking with me over this boring, hot, uncreative summer! lol...I will have more to post about now that fall is just around the corner.